Everyone forgets things. We completely understand. If you have been locked out of your Signature account or simply forgot your password, hope is not lost. Quickly reset your password to restore access to your account. 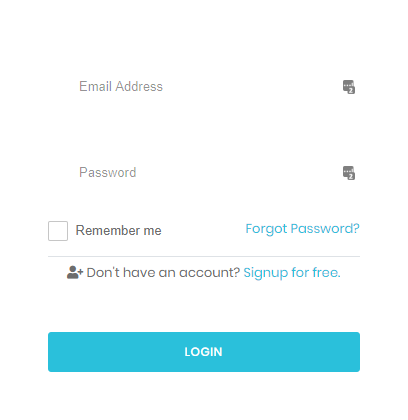 On the login screen, click the Forgot Password? link just below the Password field. This will take you to the Tokeet password reset page. 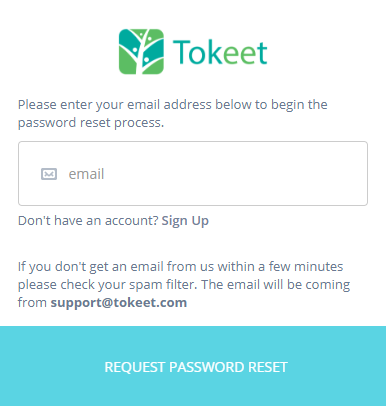 Enter the email address used to sign into your Tokeet Signature account. It will be the same email address you use to sign into Tokeet. Click the Request Password Reset button to submit your request. A password reset email will sent to the email address that was entered. Check your email inbox and click the link in the password reset email. This will return you to Tokeet to create the new password. That's it! Once you have successfully updated the password, you can now sign back into your Signature account.